We went to Concord, Mass., a couple of weeks ago. It’s my default short-vacation spot. I love the bookstores: The Barrow, the Concord Bookshop, Books with a Past, as well as the gift shops at local museums and authors’ houses. I always find a dozen books there I didn’t know about, many about Transcendentalism. And we walk around Walden Pond, and I wonder how much quieter it might be if Thoreau hadn’t turned it into such a shrine. fanfare that I can fail to have heard of her 15 years later? than a man’s cruel whims. than a prize egg-laying hen. and did not care for hunger…. “I’ve come to fetch you,” he said. for London, that great free city. Thank you. It was a privilege. You are so kind. It is all his doing; I am merely the instrument. a beauty of a piece, indeed. What an honor! Countess, I am enchanted. in your lovely language: Vielen Dank. It is all his – why, thank you, sir, I am speechless…. I only meant that she is… magnificent. really good, independent bookstore and finger every book on the shelves. contradictory virtues of being breezily written yet withal extremely erudite. Robert D. Richardson’s more introverted Henry Thoreau: A Life of the Mind. 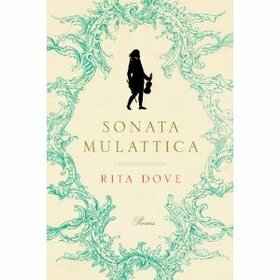 From the excerpts above (and there’s not much that you can tell from excerpts of poems), Dove doesn’t represent much of the Opus 47 Sonata for me with her words. The slavery thing sounds false: all court musicians were servants (and mostly underpaid ones) back in Bridgetower’s day. And Bridgetower, according to everything I read, had a pretty nice life. He must have been a great fiddle player because the “Kreutzer Sonata” is easily one of the most difficult-to-play pieces in the Classical repertoire (I’m talking “Classical Period”). Tolstoy’s short story called “Kreutzer Sonata” (there’s a good Wikipedia article about it) addresses the musical substance of the work, which serves as background music to the story) is well worth reading for those of us who love the piece. KG replies: Her poetry is really difficult to quote from. There aren’t many isolated “good lines”; you really have to follow the whole curve of a poem to appreciate the artistry. And that wasn’t Bridgetower talking about being a slave, but Haydn, whose early life was not so nice. As for Tolstoy’s Kreutzer Sonata, I don’t think my undergrads need that depressing picture of married life just yet, and it doesn’t really elucidate the sonata the way Dove’s book does. I read it while visiting Provincetown last fall. He and his companion walk the whole length of the Cape, and he gets deep into the history of the area and the people, as well as the flora and fauna. And, it’s quite humorous, something we don’t usually associate with Thoreau. Reading it greatly altered my superficial notions about Thoreau.